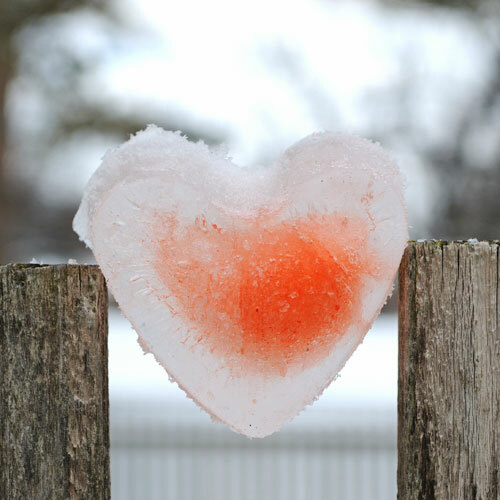 Question: What can you make with water, food coloring, freezing temperatures and a silicon baking mold? 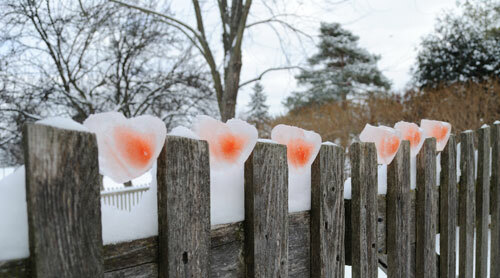 Answer: Why some icy valentine hearts that’s what! 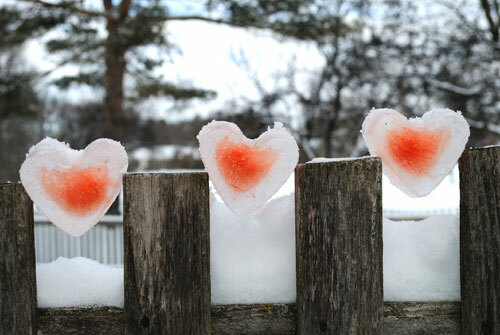 Aren’t these just lovely and the when the weather warms up there is no clean up…they just melt away. 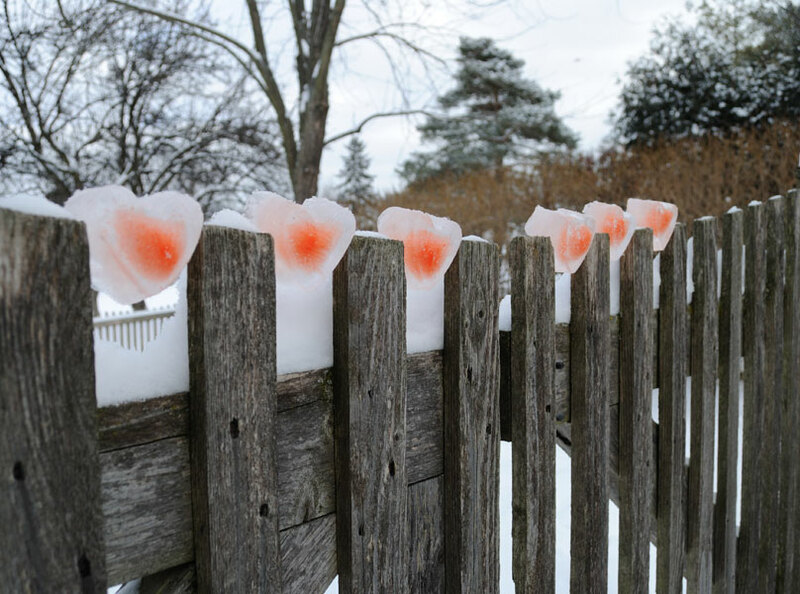 I made them by adding a few squirts of red food coloring to a jug of water, filling a simple heart shaped baking mold and just leaving it outside. We did have a day of rain before they froze which may explain why the color is just in the center and not uniformly distributed, but I kind of like it this way. This entry was posted in Celebrate in Style, Craft Projects, Decorative Accents, Garden, Garden Decor, Holiday Projects, Home Decor, Valentines Day. Bookmark the permalink. What a clever idea! I have an ice skating rink waiting for freezing weather so the water will be able to freeze inside the rink! Hi Karianne, Hope your ice rink freezes soon! 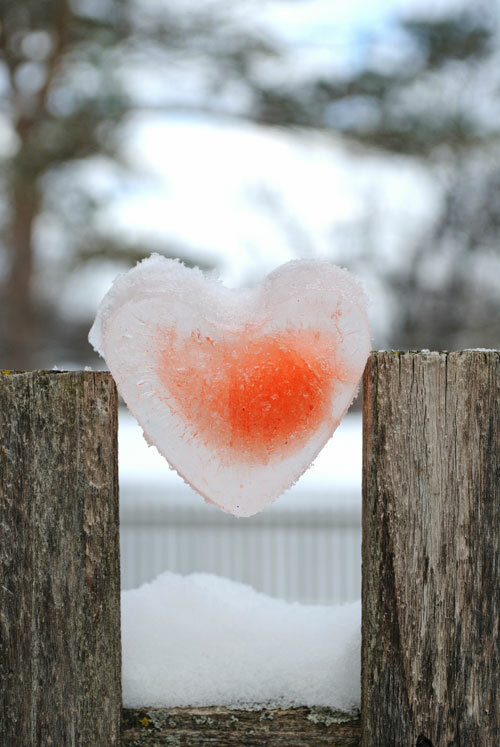 It has been an odd winter here in Chicago and alas an above freezing day yesterday melted all of my lovely hearts. I will have to make some more.